While a festival can be a destination in itself, it can also be the starting point for exploring some of the most exciting cities in the world. Let's take a look at some of the more unusual festivals taking place over the northern winter. If you don't mind the cold, Winterlude is a great way to celebrate the frosty weather while exploring Ottawa and Gatineau. An evening visit to the ice sculpture display in Confederation Park is unforgettable, with beautifully illuminated exhibits from global artists. Ottawa itself is a clean, safe, modern city with an excellent public Wi-Fi network; you can use this both to plan your festival schedule, and keep yourself entertained between events by playing online games useful if you're going to round off an evening in Gatineau with a visit to Casino Du Lac Leamy, where slots and table games are on offer. The two cities are blessed with plenty of nightlife, particularly around Ottawa's ByWard Market area, while Gatineau, just 15 minutes away in French-speaking Quebec, is almost like a different country. Recommended restaurants and bars here include the well-regarded Pigale and Bistro Ambrosia. The reputation of Argentinian wines continues to grow around the world, with serious competition from its neighbour Chile. Oenophiles with a sense of adventure will love the Vendimia festival, which celebrates the grape harvest in Mendoza, in the heart of the wine district. Tens of thousands of tourists arrive to witness the firework displays, parades and the Via Blanca de las Reinas, a beauty contest for contestants from throughout the wine growing region. Mendoza itself is a beautiful colonial city and an ideal base for trips into the Andes. Temperatures in March average a pleasant 21C. Here's another festival you'll need to wrap up warm for. 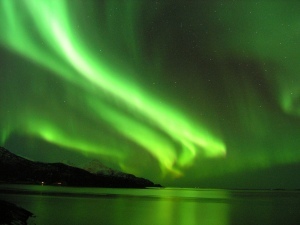 It's a music and dance event with a light show provided by nature, and may be many peoples' best chance of getting a great view of the Aurora Borealis. 2015 will be the 27th annual Northern Lights Festival to be held in Tromso, and over the years the programme has expanded to include jazz and rock as well as classical music and ballet. If the weather prevents you from seeing the Aurora, don't despair - the Tromso Planetarium regularly shows a stunning, 360 degree, high-definition projection of the phenomenon. Surrounded by natural beauty, Tromso in Winter offers great nightlife; alcohol is relatively expensive, but the bar scene is buzzing nonetheless. The seafood is a highlight of any trip here; try Arctandria for wonderfully fresh fish and shellfish - as well as smoked seal!